Our Lil’ Dragons class is specifically designed to meet the developmental needs of our youngest students. In addition to building a solid foundation for martial arts training, this class has a strong focus on life skills such as patience, taking turns, self-control, following directions, how to make friends, coordination, mental focus, and confidence. Our amazing and patient group of instructors loves to work with children. They understand the various challenges kids this age face in trying to focus and their need to become more self-disciplined. Through our IBBA Karate for Kids program, we establish clear rules of proper behavior in class and we encourage the same good behavior at home and in school. At Kaizen IBBA we have found a balance of fun and clear structure that helps young students succeed and love coming to class. Our aim is to help our students learn not only excellent martial arts skills, but also to set and achieve goals, choose proper behavior, and work hard in everything they do. While laying the foundation for success in martial arts, Tigers play fun games and participate in activities that emphasize self-control, cooperation, respect, confidence, and focus. As Tigers earn their belts by showing proficiency in curriculum and character at tests, they are promoted to Advanced Tigers and on to Eagles. The skills learned in Kaizen IBBA classes will jump start your child’s success in school and in other sports. The kind, encouraging instructors teach in a patient and structured manner to help your child have a wonderful experience. Over the years, we have developed a variety of methods to capture children’s imaginations while teaching them important life skills that will set them on a path to succeed in life. Are you looking for an activity that will help your child become engaged, focused, disciplined, and build their confidence? We focus on the physical, social, and emotional needs of elementary and middle-school aged kids. Our curriculum is safe, fun, and always exciting, providing skills that carry into all other aspects of life, equipping your child with a sharp mind, confidence, and effective self-defense skills. The skills and drills the children practice in class will help channel their energy and aggression in positive ways. Doctors, teachers, pastors, and even therapists have recommended Kaizen International Black Belt Academy’s Karate for Kids program. They know that Kaizen IBBA Karate can have an enormous positive influence on children. Your child will learn how to overcome fear and nervousness through fun yet challenging training. The program provides kids a safe and supportive environment to release energy and learn mental focus, self-discipline, and goal setting. Looking for something different than just “hitting the gym” to get in shape? Interested in learning new skills and working toward measurable achievements? Do you want a safe and healthy environment to meet other adults with similar interests? Are you trying to find something you can do with your kids that is a healthy physical and mental activity? 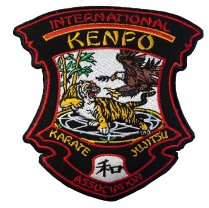 Whatever your goals, fitness level, martial arts experience, or desired level of intensity, Kenpo Karate has a place for you. Fill out the form below to get more information about our programs. Tell us about yourself/your child or ask anything you'd like! Need information about any classes in particular?